According to various media reports the Mets have agreed to a four-year contract extension with CF Juan Lagares that also has a club option for the centerfielder’s first free agent year. The deal is pending a physical. The contract is expected to be worth around $23 million and is expected to start during the 2016 season. Lagares would have been a Super Two player this upcoming winter which meant he would have filed for arbitration four times instead of three before becoming a free agent. Lagares, 26, slashed .281/.324/.382 in 452 plate appearances in 2014 but its his glove that made him one of the Mets better players. 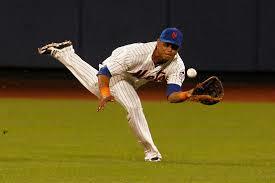 Lagares became the third Met outfielder behind Tommy Agee and Carlos Beltran to win a Gold Glove. On the surface this looks like a questionable decison for the Mets as Lagares’ speciality, which is his defense, doesn’t pay much in arbitration. Lagares has walked just 20 times in each of his two big league seasons. He doesn’t hit many homers or steal many bases so he wasn’t likely to get more than the $20-25 million in arbitration should his offense stay at its current level. The Mets don’t believe it will. The front office has been very impressed with the work Lagares has done in camp with new hitting coach Kevin Long and believe he will hit better this upcoming year. The Brewers gave a simialr contract to former Met Carlos Gomez a few years ago before his breakout season. That deal looks like one of the best decisions Brewers GM Doug Melvin has ever made. Lagares just turned 26 a few weeks ago so there is still time in his bat for improvements. The deal only gives the Mets the possibility of one more year of control over their gold glover with the club option for 2020 worth $9.5 million. 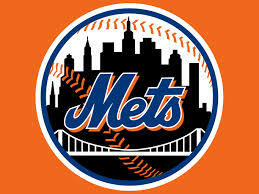 Do you like this aggressive move by the New York Mets? As the 2015 season gets closer and closer optimism continues to grow in Port St. Lucie. Last season as the Mets prepared to break camp, the two biggest weaknesses appeared to be the bullpen and too many strikeouts up and down the lineup. While the bullpen got better as the season went on, it was the main reason why the Mets fell out of the race quickly in 2014. By the time the young arms were contributing it was too late. The strikeouts were a problem as players who normally offset their highs strikeout totals with a lot of extra base hits such as David Wright and Curtis Granderson had down years. These two factors were key in the 2014 Mets being a losing team. The players the Mets are adding to their 2015 lineup are not classsified as strikeout guys and tend to put the ball in play more often than most. Neither the strikeout nor the bullpen issues should be much of a problem this season. The Mets main problem in 2015 will be their horrendous defense. The Mets defense was very poor in 2014 and would have been a whole lot worse without the amount of range that Juan Lagares covers in center. The Mets made 104 errors in 2014, which was 4th most in the National League. While errors don’t tell the full story, only one player had even an average year defensively and that was obviously, the gold glover Lagares. Other than Wright and Lagares the Amazin’s really don’t posses an everyday player here who has the track record of an above average defender. This defense will be a problem for Terry Collins’ club. The two new additions to the 2015 Mets lineup are OF Michael Cuddyer, (who is not very good defensively in either corner) and Wilmer Flores. (Not a SS) While the offense should improve in 2015 with these two hitters playing everyday the defense should be even weaker, especially at shortstop. Daniel Murphy has worked ultra hard on his defense and because of his bat is now one of the better second basemen in the National League but a Flores/ Murphy double play combo has to make even the most optimistic Met fan cringe. While the Mets have fixed most of their holes from 2014 internally, one hole is still as big as ever. 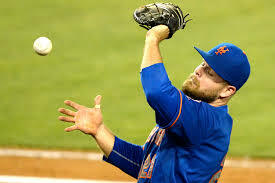 The question is will this issue be large enough to derail the Mets promising season? Again with the rising arbitration cost of Daniel Murphy, who could be up to $9 million in 2015, it is likely that Murphy is on another team next season. However if the team could trade someone else, such as Bartolo Colon’s salary and keep Murphy’s bat in the lineup than they could balance left-right-left-right throughout the entire lineup. It should be very interesting to see the Mets offseason approach in terms of their lineup during December’s Winter Meetings. Ideally the Mets can still find a starting shortstop, moving Wilmer Flores to the bench and Juan Lagares out of the leadoff spot. Flores is out of options so he will make the 25-man roster regardless.